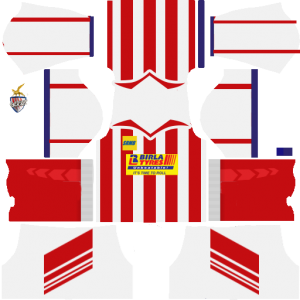 How To Download Atletico de Kolkata (ATK) Jersey Kits for DLS: Are you still searching for Dream League Soccer Atletico de Kolkata (ATK) kits and logo URL? Now the good news is, fans of the football game Dream League Soccer can now download the new released DLS 512×512 Kits and Logo URL for your Atletico de Kolkata Team and enjoy the game. 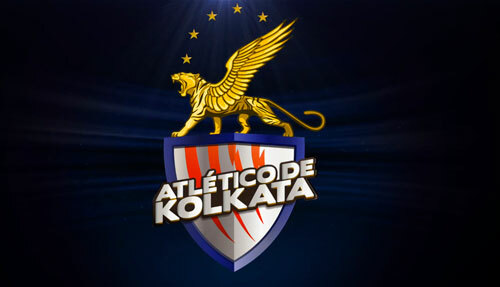 Atletico de Kolkata presently called as ATK. It is an Indian Super League football club located in Kolkata, West Bengal. The club was established on 7 May 2014 as the first team in the league, and plays its home games at the Salt Lake Stadium. ATK played their first two seasons at Salt Lake Stadium, but in the 2016 season, they had to move to Rabindra Sarobar Stadium due to the unavailabilty of Salt Lake Stadium, which was shortlisted as one of the venues for the 2017 FIFA U-17 World Cup. Owner: Kolkata Games and Sports Pvt. Ltd.
Atletico de Kolkata Kit jersey is manufactured by Nivia and their primary sponsorers are Birla Tyres. 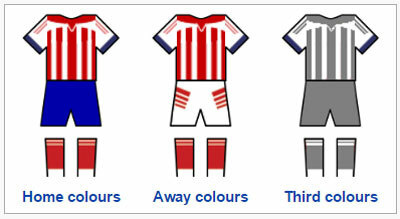 With red stripes and blue collar, ATK Jersey looks beautiful. If you’re a big fan of DLS Atletico de Kolkata Team, these kits are for you. Download Atletico de Kolkata Kits and logo for your team in Dream League Soccer by using the URLs provided below. To download ATK kits and logo for your Dream League Soccer team, just copy the URL above the image, go to My Club > Customise Team > Edit Kit > Download and paste the URL here. If you have any request, feel free to leave them in the comment section.